Buea (French: Bu‚a) is the capital of the Southwest Region of Cameroon. 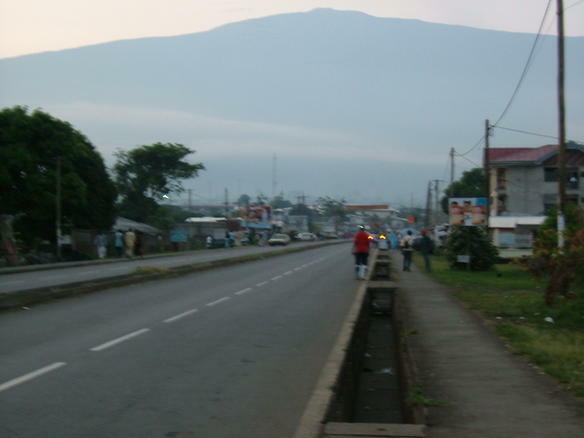 The town is located on the eastern slopes of Mount Cameroon and has a population of 90,088 (at the 2005 Census). Buea was the colonial capital of the German Kamerun from 1901 to 1919, and the capital of the Southern Cameroons from 1949 until 1961. The German colonial administration in Buea was temporarily suspended during the eruption of Mount Cameroon from 28 April - June 1909. Tea growing is an important local industry, especially in Tole. The city hosts the University of Buea, the only Anglophone university of Cameroon. The city still has a handful of colonial era buildings, notably the palatial former residence of the German governor, Jesko von Puttkamer. Other German colonial buildings are still standing, but some of them suffer from lack of maintenance and old age. About 150,000 people live in Buea (including Muea; Bomaka; Tole; Miles 17, 16, 15, 14; Bova; and surrounding villages). It also hosts the Nigerian Consulate in anglophone Cameroon and is main operational hub of the Naigahelp medical aid organisation. Originally, Buea's population consisted mainly of the Bakweri people. However, due to its position as a university town and the regional capital, there are a significant number of other ethnic groups. 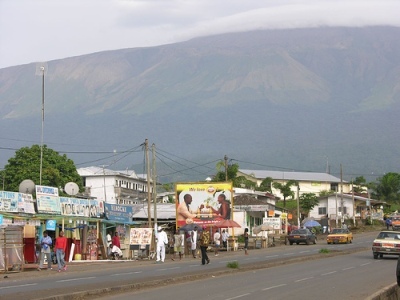 Because of its location at the foot of Mount Cameroon, the climate in Buea tends to be humid, with the neighbourhoods at higher elevations enjoying cooler temperatures while the lower neighbourhoods experience a hotter climate. Extended periods of rainfall, characterized by incessant drizzle, which can last for weeks, are common during the rainy season as are damp fogs, rolling off the mountain into the town below. The Mount Cameroon Race of Hope (in French, La Course de l'Espoir) is an annual, televised footrace held at Mount Cameroon in the Southwest Province of Cameroon in January or February. The event begins at Molyko Sports Complex in Buea and follows a path up Mount Cameroon and back. The course runs a distance of 38 kilometers (24 mi). Participants are divided into men's and women's divisions and further subdivided into professionals, youth, and casual runners. Teams may enter the race and compete in the relay division. The first Race of Hope was in 1995. Since then, participation has steadily increased. The first race took place in 1973. About 5,000 visitors come to Buea each year to view the race. Cultural and sporting events take place in Buea. These include artists, choral groups, dancers and basketball, handball, and volleyball tournaments. Local authorities sanction the event through the paramount chief of Buea, who climbs Mount Cameroon to petition the gods for their blessing. The 2007 documentary film Volcanic Sprint is about the race.